Buy the latest Heat Recovery Fans or Ventilation Units from Manrose.With the advent of modern building methods; double glazed windows, superior insulation, etc. the need for adequate ventilation in order to prevent the build up of foul, stagnant air is needed. Unless the air is extracted it can lead to dampness, mold and illness. Up until now the choice has been limited, vent the air out but this in turn means that heat is wasted. 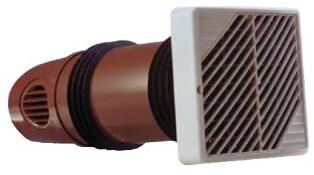 Now there is an alternative - Vent it out with heat recovery and save between 70% & 90% of the heat and return it to the house.